Mercedes-Benz announced this week that it plans on introducing up to 30 new models by 2020. Eleven of these vehicles won’t just be new — they will be all-new. To prepare for this deluge of newness, Mercedes is changing its naming strategy for the first time in more than 20 years. 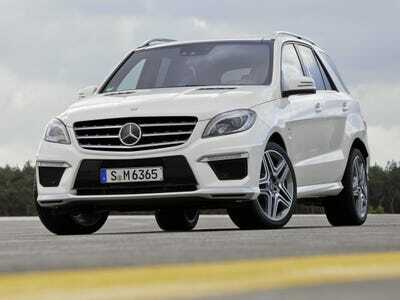 However, it will change the letter designation for its SUVs and its SLK sports car. Confused yet? Hang in there. Under the new naming convention, the Stuttgart-based automaker will begin the name of all of its SUVs with the letter G — in honour of Mercedes’ iconic G-Class. 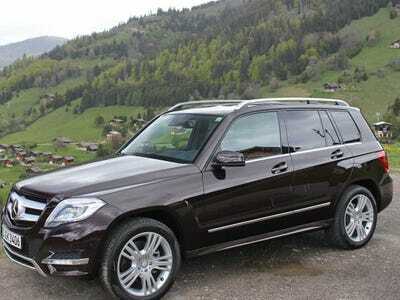 As a result, the current M-Class will become the GLE. 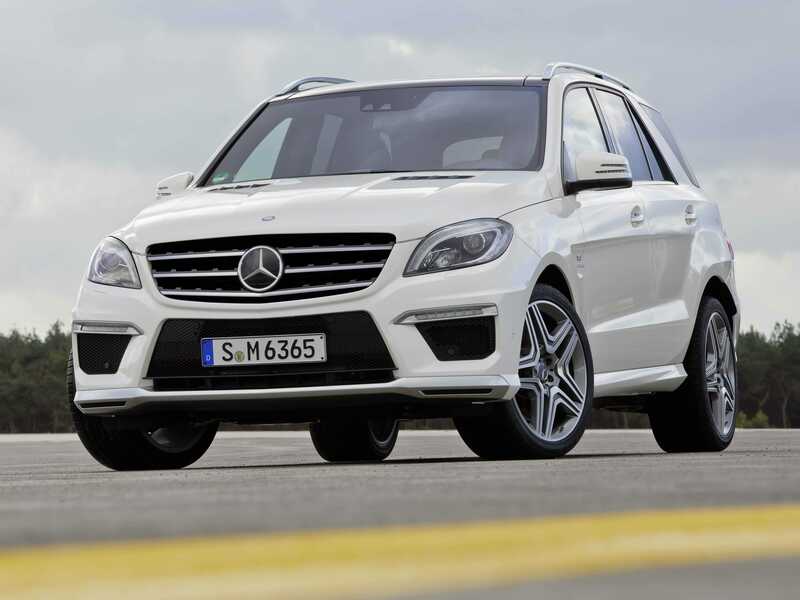 The GLK compact SUV will becomes the GLC, while the full-size GL will will become the GLS. 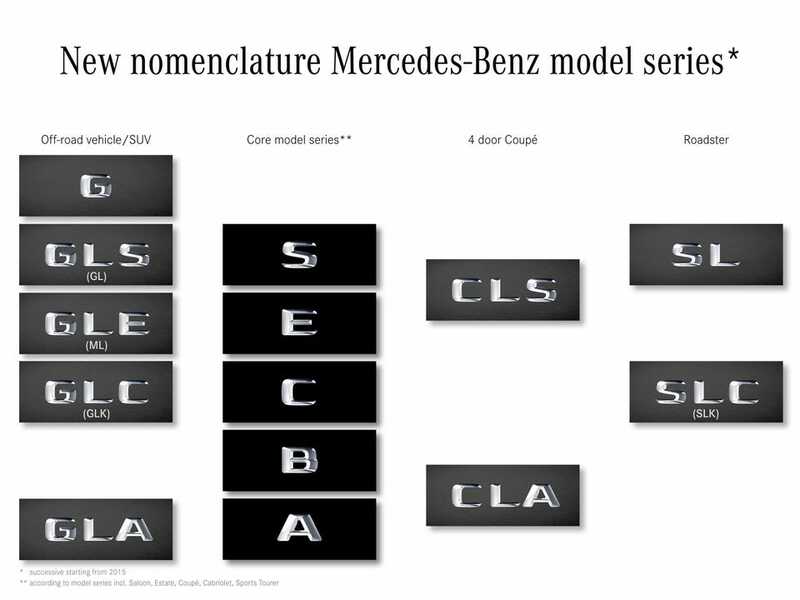 In addition, the SLK sports car will now be known as the SLC. Changing the name of any car is a risky proposition for an automaker. For Mercedes, it’s especially dangerous because the company has spent so much time, money, and effort to ingrain the identities of its hot-selling SUVs into the public’s consciousness. For some carmakers, changing the way vehicles are named has succeeded. In the mid-1990s, Audi switched its naming structure from a numerical system to its current letter/number setup and it’s worked out great. But Acura’s move away from names like “Legend” and “Integra” to “RLX” and “ILX “has been less of a home run. However, as more and more automakers move towards a letter/number style naming scheme as opposed to actual names, a problem will emerge: there will be too many convoluted permutations of numbers and letters for consumers to know what’s going on. So far, Infiniti’s decision has been a mixed bag. Although its new naming convention is streamlined, some customers have been left scratching their head. Mercedes is taking the same risk. 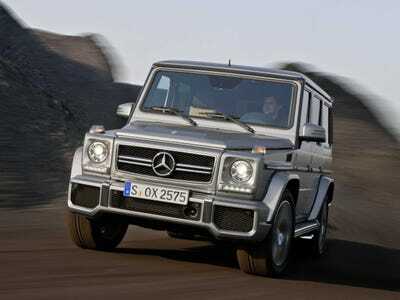 However, Mercedes has experience on this front. It made a drastic naming change in 1993, but we’re now used to it. This current change is far less significant. In the short term, it will annoy some, but there shouldn’t be any long term ill-effects.